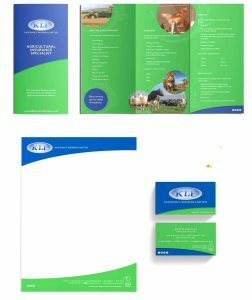 Shropshire based KLF Insurance Brokers Limited was founded in 1992 by Keith Fowles. The business offers and extensive portfolio of commercial and agricultural insurance packages. Hands on, personal service allows KLF to provide an exemplary claims service, with over 99% of claims being reimbursed. Following a word of mouth recommendation, Keith contacted me in 2014 with a view to completely overhauling the image of KLF Insurance Brokers Limited. With a poor online presence and dated image the objective was to rejuvenate the brand without changing the original logo, whilst injecting more personality into the identity to raise awareness of the brand both digitally and offline. 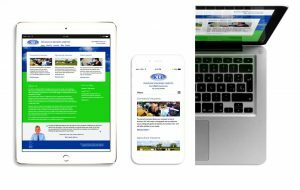 Gradually the entire look and feel of the business has been brought into the 21st century with designs which present a fresh new look, PR which achieves an impact with potential farming clients, well branded event materials and a digital presence which not only includes the website but social media platforms too. Work with this successful and expanding business continues on a regular basis.